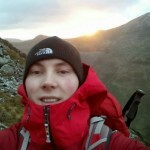 Montane Men’s Fast Alpine Stretch Neo Jacket Review No ratings yet. Hardy People’s Poncho – First Look No ratings yet. Montane Spektr Smock Long Term Review No ratings yet. Paramo Viento Zip Off Trousers – Blast from the Past… No ratings yet. Paramo Men’s Quito Pants Review No ratings yet. Paramo Aspira Trousers Long Term Review No ratings yet. Golite Poncho Tarp Review No ratings yet.